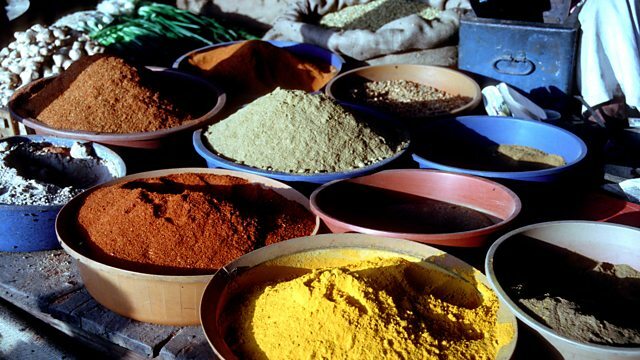 The trade in spices goes back to ancient times: from the Frankincense trails that originated in the Dhofar Highlands in present day Yemen to the Queen of Sheba who travelled to Jerusalem with camels laden with spices. For centuries, spices have captured our imagination far more than any other commodities, and spice traders, from the Arab merchants to the European trading companies of the Age of Discovery, capitalized on the mystique of these luxurious aromatics to create a value chain that led to vast fortunes being made and Empires established. And this worldwide craze for spices played a great part in the rise of globalized trade and the birth of the Stock exchange and the capitalist system. Joining Rajan Datar to discuss the Spice Trade is Professor Gary Paul Nabhan whose ancestors were Arab spice merchants and who’s the author of “Cumin, Camels, and Caravans: A Spice Odyssey”, Dr Chris Nierstrasz, Lecturer in Global History at Erasmus University in Rotterdam and specialist on the United Dutch East India Company, and the TV Chef and Indian cookery writer Anjum Anand.